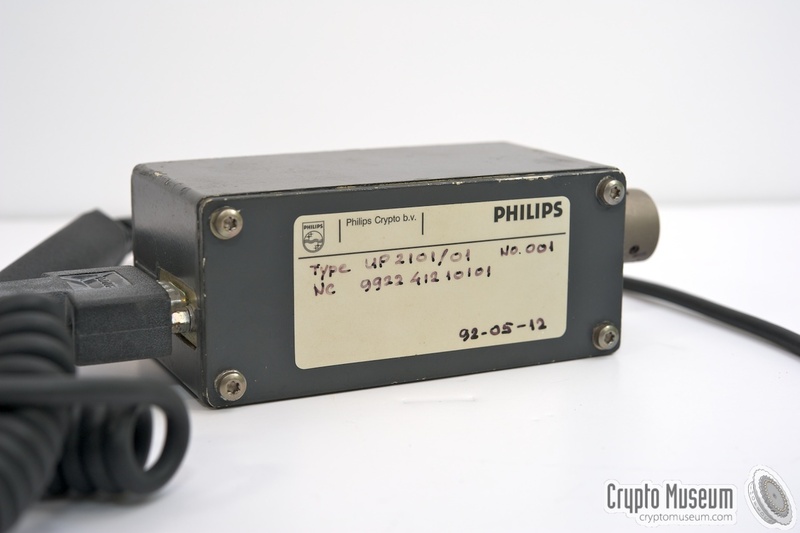 UP-2101 was an electronic transfer device, or key filler, for the distribution of cryptographic Transmission Encryption Keys (TEK), developed in 1992 by Philips Crypto BV (Usfa) in Eindhoven (Netherlands), as the successor to the UP-2001, which in turn was an alternative to the always in short-supply American KYK-13. Despite its potential, only a limited quantity was manufactured. 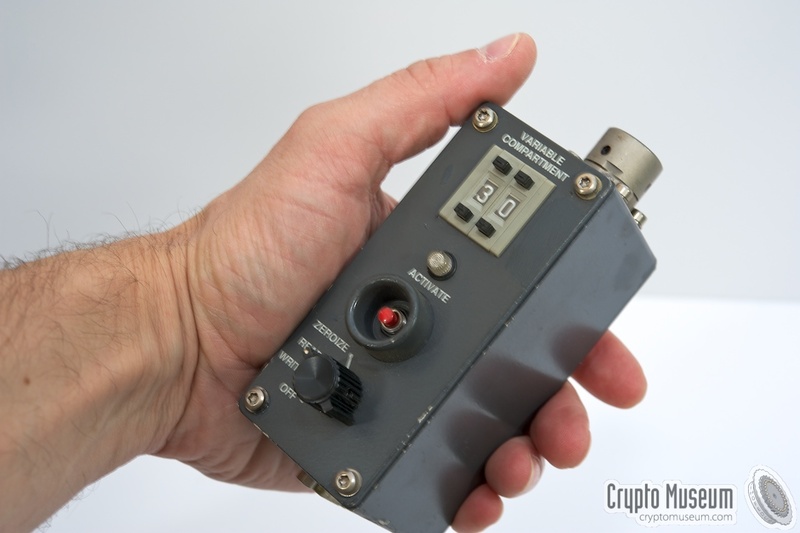 It has a rotary switch that is used to select the MODE of operation. At the center is a red ACTIVATE button that is used in combination with a particular setting of the mode selector. 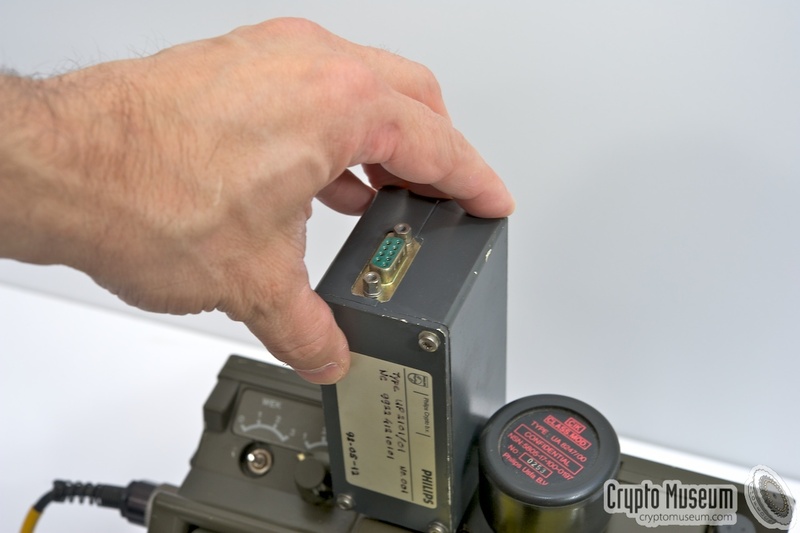 The mode selector is also used for reading keys via the serial DB9 connector at the bottom and writing them to the U-283 connector at the top. 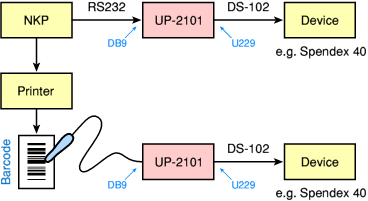 The image on the right shows a prototype of the UP-2101. It is similar in appearance and size to the American KYK-13 and features the same U-283 socket for connection to the equipment . The UP-2101 has some important improvements over the KYK-13. First of all is has room for 40 sets of key variables, commonly referred to as compartments, whereas the KYK-13 has just six. A key compartment is selected by setting the 2-digit selector at the top to the required number (00-39). This greatly increases the number of keys that can be carried around simultaneously. 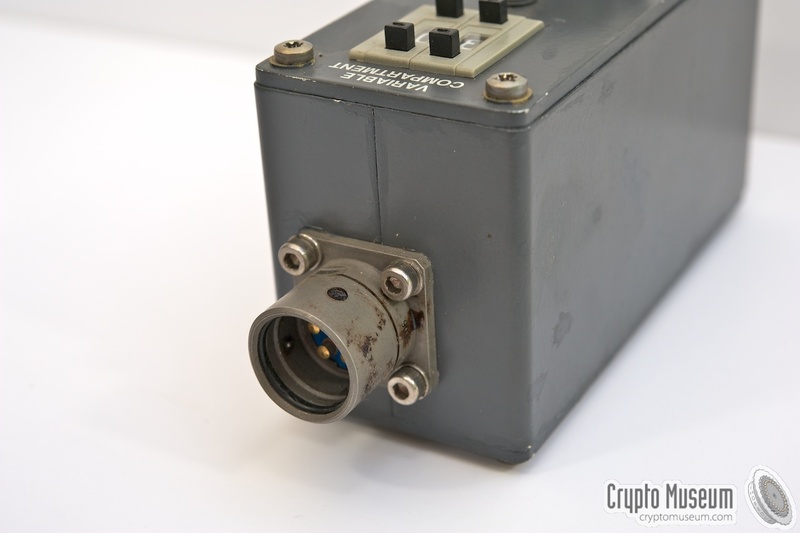 The device has a common U-229 fill connector, for direct connection to encryption equipment like the Spendex 40, Spendex 50 and BVO. 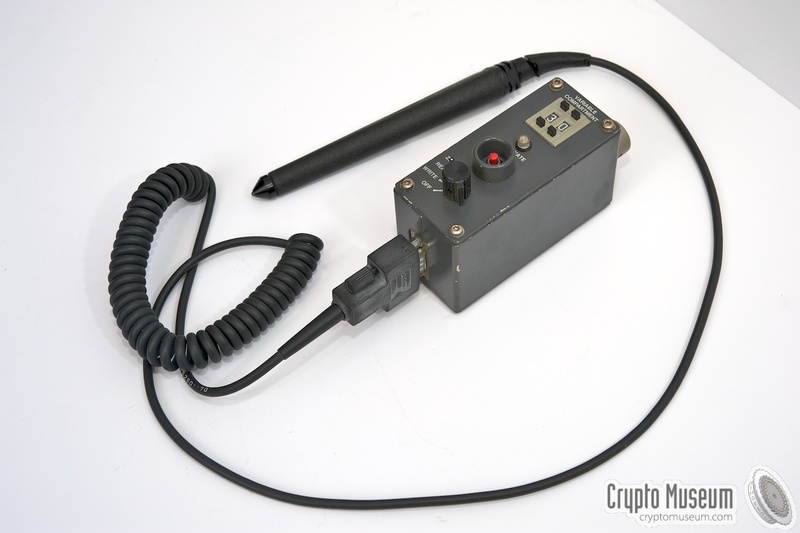 It also has a standard RS-232 serial port in the form of a DB-9 socket at the bottom, allowing keys to be loaded directly from a Personal Computer (PC) or a special HP barcode reader. 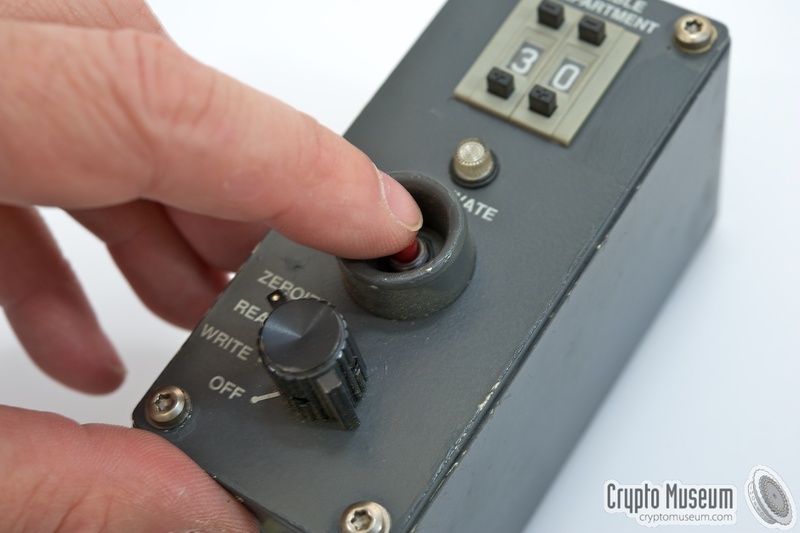 Transferring keys to a cipher device takes just a few seconds. Keys can be loaded into the UP-2101 by means of a (DOS) PC running the UP-2002 Net Key Program (NKP) software. For this, the DB9 connector of the UP-2101 was connected to the COM1 port of the PC via a simple 2-wire cable. Keys were generated by the NKP and were then transferred to the UP-2101 via the serial port, one at a time, each with a suitable checksum. It was also possible to load keys into the UP-2101 via barcodes, by using an HP HBCR-8300 barcode reader. The UP-2002 NKP (see above) could be used to print suitable barcodes onto paper. 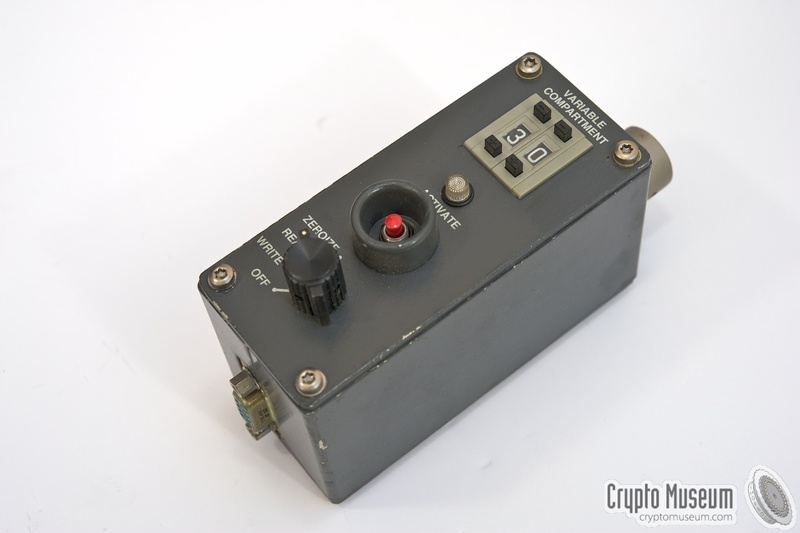 This allowed the keys to be sent securely by means of a (trusted) courier, or via a fax unit connected to a secure crypto telephone, such as the Spendex 40. The UP-2101 uses a 5-pin U-229 type connector for connection to the crypto device, rather than the more common 6-pin U-284. Is it nevertheless compatible as the extra pin (F) is not used. 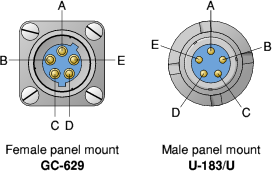 The table below shows the pin-out of the connector. More information on the special U-229 page . Interview, Crypto Museum. July 2011. Description of the US Army and NATO standard audio and FILL connector. HBSW-8000 series datasheet. Tecnical Data. Retrieved July 2012. 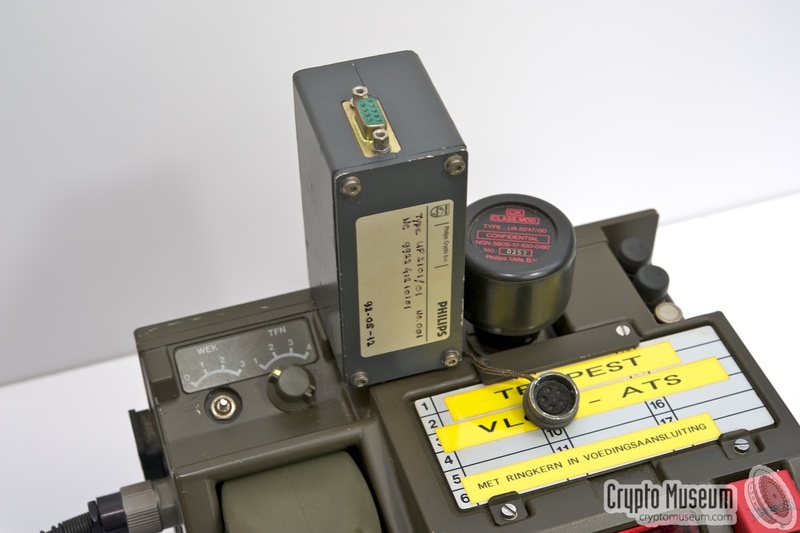 � Crypto Museum. Created: Sunday 17 July 2011. Last changed: Monday, 15 April 2019 - 20:44 CET.